Dansk Wilton was asked to join the adventure with National Geographic and Lindblad Expeditions. 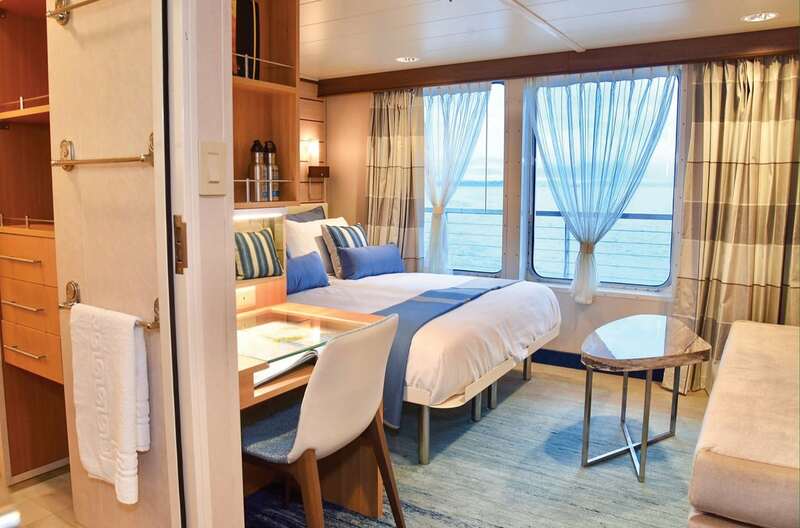 How could we possibly say no? National Geographic and Lindblad Expeditions are symbolic of the spirit of adventure and exploring the earth’s incredible secrets, its overwhelming natural wealth and fantastic stories right out in the remotest corners. When the expedition ship National Geographic Endeavour II was extensively renovated in 2016, Dansk Wilton was asked to join the adventure. How could we possibly say no? 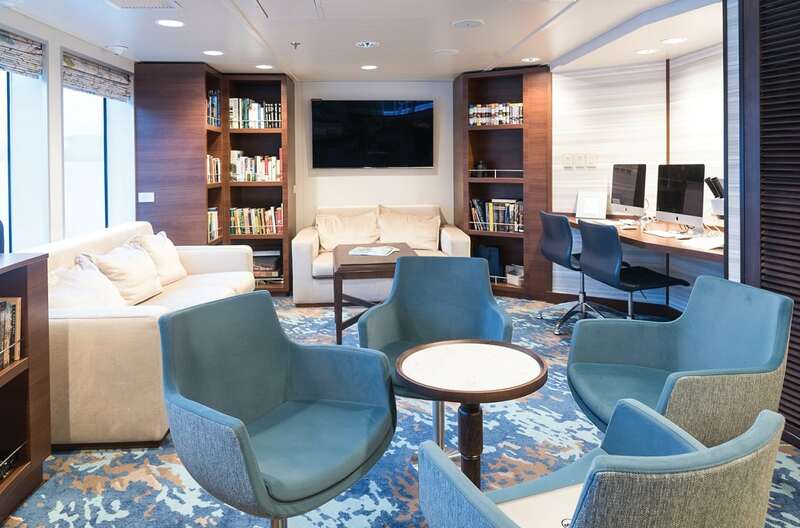 We have supplied all custom designed carpets for this project. 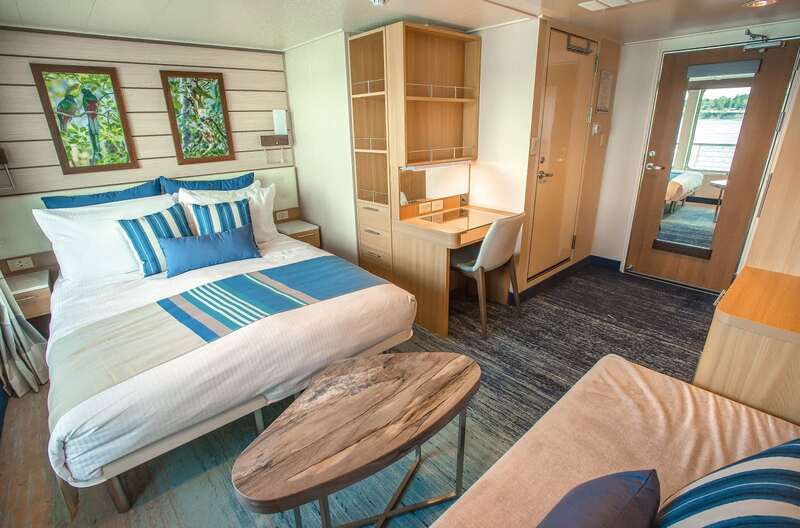 Most recently, our collaboration with the cruise ship interior design company, Thomas Tillberg Design & Associates, has resulted in Dansk Wilton Colortec carpet being fitted on the newly built expedition ship, National Geographic Quest. 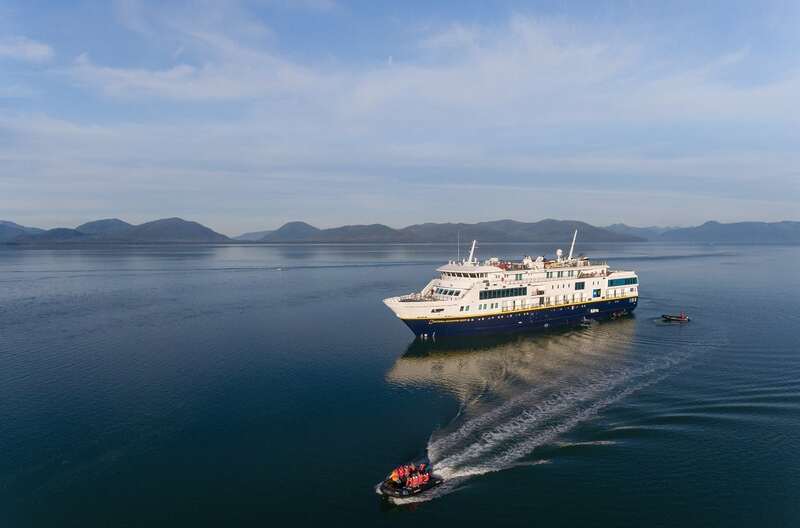 National Geographic Quest sails with eager “explorers” from the icily magnificent northern landscapes of Alaska to the tropical coasts of Costa Rica and Panama in the south. National Geographic Quest is luxuriously fitted out to give guests a sense of indulgent comfort throughout the cruise. 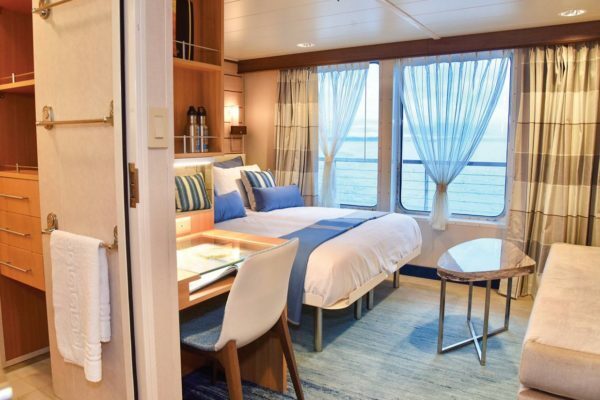 Besides the concept of an “expedition”, they will find a fitness centre and wellness facilities on board, and they can enjoy the view from the sun-deck with their afternoon cocktails. Light streams into the cabins, restaurant and lounge areas with views of natural beauty through panorama windows. As they sail, National Geographic and Lindblad Expeditions arrange lectures and courses in photography, so participants are ideally equipped for their “once in a lifetime” adventures. 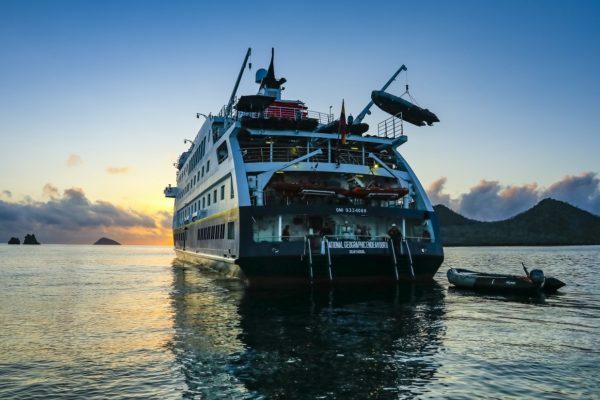 On select voyages, the team will be joined by a National Geographic scientist, historian, photographer, or explorer. 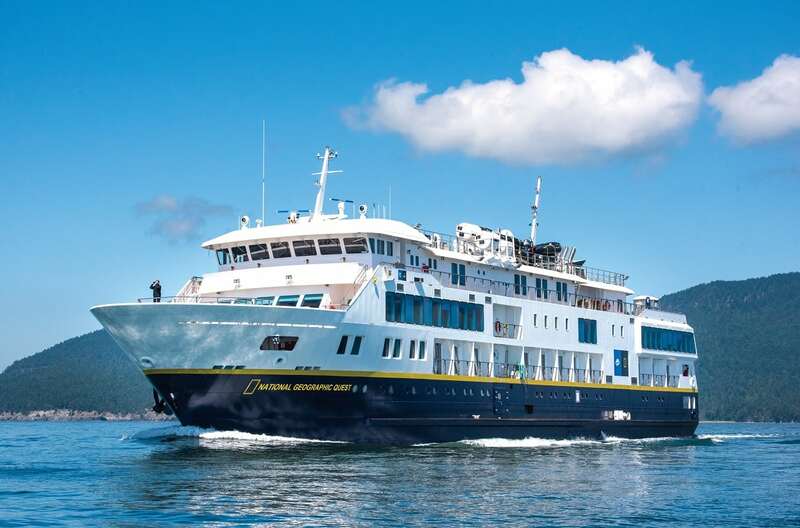 “Lindblad Expeditions-National Geographic have joined forces to further inspire the world through expedition travel. Our collaboration in exploration, research, technology, and conservation provides extraordinary travel experiences and disseminates geographic knowledge around the globe”. 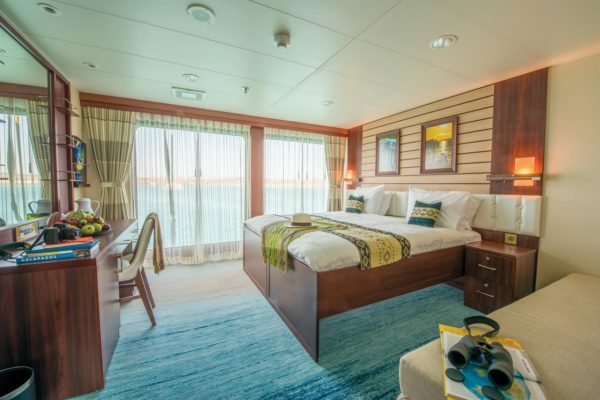 We would love to visit our carpets and set out on an Expedition Cruise. 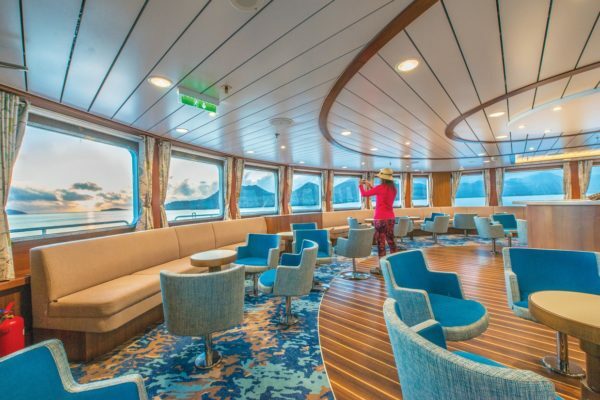 So will we be seeing you on board? 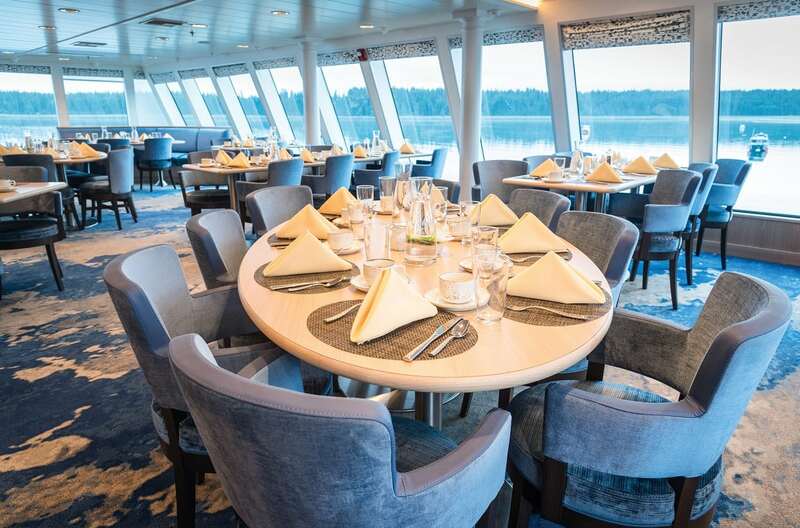 Watch this impressive video: An appetizer on an expedition cruise with National Geographic and Lindblad Expeditions. 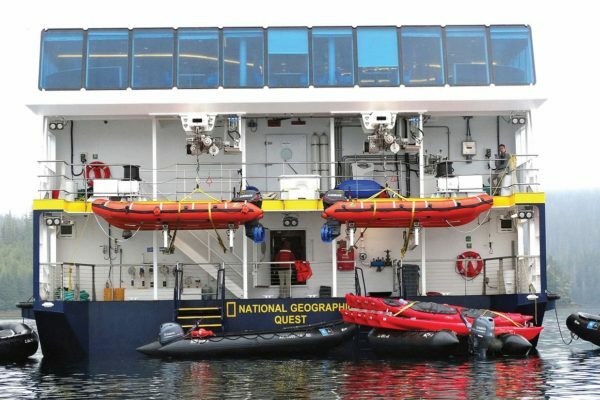 Explore the the website of National Geographic and Lindblad Expeditions. 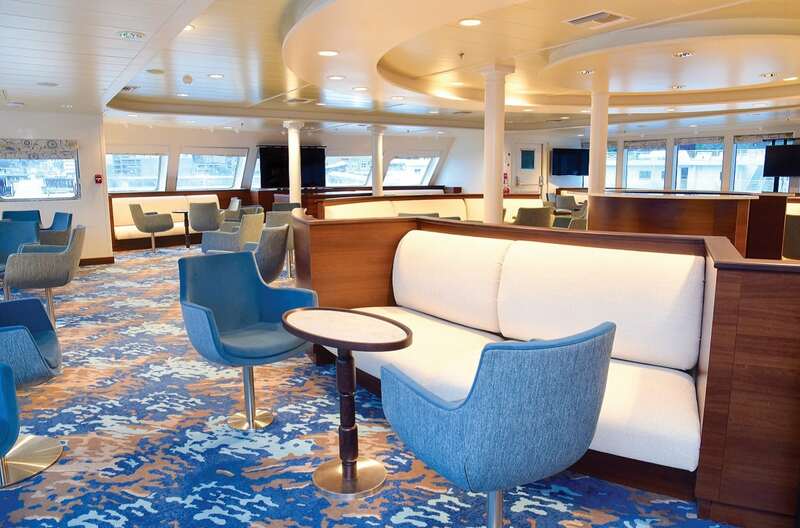 Dansk Wilton delivered custom design Colortec carpets for suites, cabins and all public spaces.